Contains a proprietary blend of English Hawthorn (Crataegus oxyacantha) young shoots; Fig Tree (Ficus carica) buds; Lime Tree (Tilia tomentosa) buds; Rhodonite; Bulbinum. 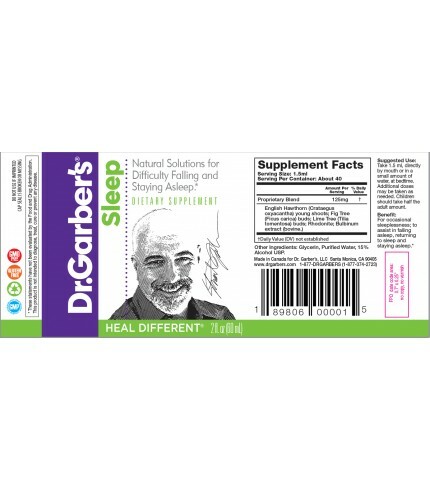 Suggested Use: Take 1.5 ml of Dr. Garber’s Natural Solutions® for Sleep in a small amount of water right at bedtime. Get all prepared for bed and take it just before your head hits the pillow. Leave the bottle on your night table. 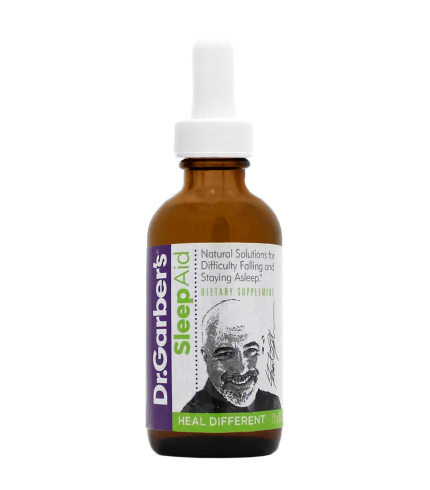 If you don’t fall asleep in what you consider to be a reasonable amount of time, or if you fall asleep but wake up during the night, take another dose then. If more time passes and you still haven’t fallen asleep, take another dose. The amount can be safely increased so use as much as you need to achieve the desired result. Even if you need to take a few doses each night at first, you will need less and less over time. 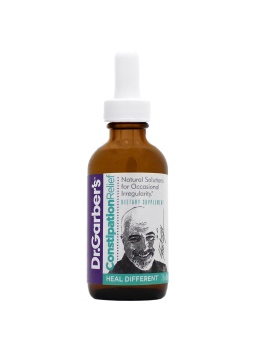 If it applies to your particular situation you may find that taking Dr. Garber’s Natural Solutions® for Anxiety and/or for Depression during the day and Sleep before bed will produce a better result. Any of Dr. Garber’s formulas may be taken together at the same time. Just mix them together in a glass containing a small amount of water.